Internet Café : To keep you connected to the world and tell your love ones where you are or even send pictures via e-mail. Bazaar: In our bazaars you will find gold ornaments, spices, T-shirts and perfumes, all with a Nubian flair. Safety Deposit Boxes at Reception: To keep safe whatever you think is important. Currency Exchange: This service is available if you prefer Egyptian pound to USD, and we accept Visa, American Express, Euro and Euro Card. Free Shuttle Bus: Each hour to and from downtown Aswan. Travel Desk: Schedule tours, change your reservations or inquire about Rail and Air travel. Our conference room is fully equipped with projector with screen and data show. We provide efficient and professional services, which include photo-copying and facsimile that is available at our reception desk, lobby level. The conference center can accommodate 80 persons and we have staff that will provide administrative support that best suites your presentational needs. 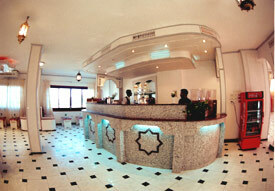 The Sara Hotel has a fabulous international cuisine as well as local Egyptian dishes for your pleasure and enjoyment. From a buffet style restaurant, to terraces, cafés and bars, you choose and we will provide the food full of flavor and service with aviance and flair. Sail by felucca (traditional Egyptian sailing boats) down the Nile and we will prepare a romantic lunch or dinner fit for the Pharaohs and Queens of Egypt. 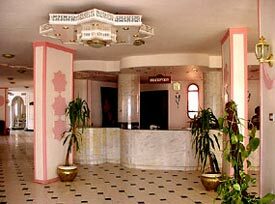 The buffet restaurant, located on the first floor level is the main restaurant for the hotel and walk in guest. 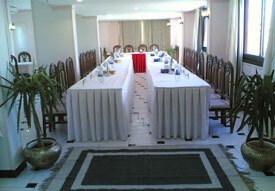 Open for breakfast, lunch and dinner, all are planned arrangements. (B/B and Half Board) are generally taken in buffet style. The food offered represents the typical Sara gastronomy for a resort hotel, including international dishes and also a good selection of the local cuisine. A special feature is the live cooking station in the buffet zone. 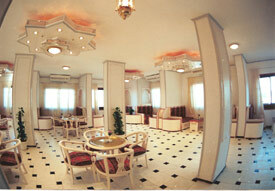 Located in the main lobby area, it has an Arabian feel and is lively. 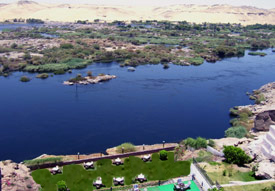 Relax with our fast and attentive service, over looking the Nile. 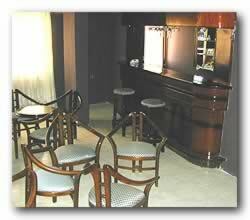 For relaxing, mingling or meeting that special business client, this is a marvelous place. It really makes an impression. Create your own drinks with the assistance of our bartender while relaxing with the Nile view. This is a great place for that family BBQ atmosphere you have at home as you gather around the inviting waters of our crescent shaped pool. 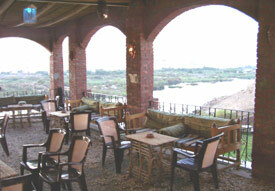 Take a tour of High Dam and the beautiful Selouga Island or just enjoy the ambience of it from our Selouga corner. Watch as the sun sets and reflects off the sandy mountains and moves along the lagoons. Truly unforgettable. 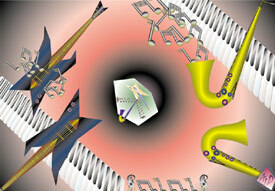 If you would like to experience a taste of variety, this is the place. Enjoy steaks cooked to your requests then perhaps, a sheesha bringing in the evening with our Nubian dancers and the best of all is the Aswani sunset. Breathtakingly beautiful. Nestled in the heart of the hotel is this beautiful garden café. 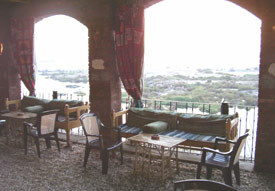 Amid orchards of flowers and greenery, you'll find some of Aswan's finest pastries, breads and sandwiches. Eat and enjoy the serene atmosphere, cool off with some ice cream in the garden shade or take away with you as you tour some of the magnificent monuments of Egypt. This service allows us to bring the taste of heaven to you. Our Expert Chefs can prepare exquisite dinners or lunches for any event you plan. We can serve 10 to 100 or more of your guest mouth watering meals that will make your affair most memorable. Here you can relax with hot or cold drinks, plus snacks are available and served at the pool side. You'll also have a great view of the sunset. What better way to reduce tension and stress, than to have a full body massage. We will take of you from head to toe.